Little girls white sleeveless t-shirt made from soft, stretch cotton jersey by Simonetta girl. It has a cute little girl print on the front, soft rib knit edgings to the armholes and a small metal logo attached near the hem. Complete the look with a pair of matching denim shorts and sneakers. 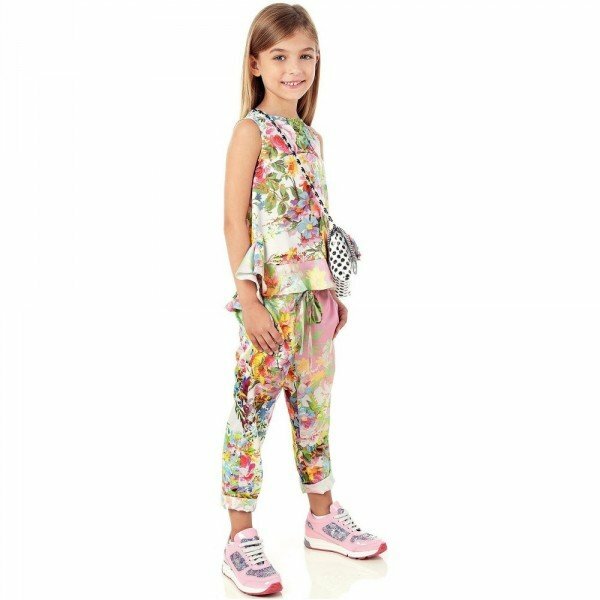 Adorable Summer Look for girls by famous Italian Kids Fashion House. Ships Worldwide.